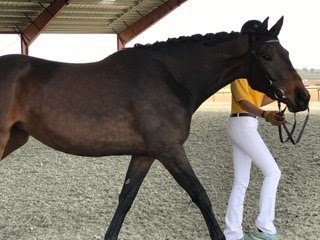 At his Stallion Performance Test, George Clooney earned scores of 8 or higher in all categories and was described in his testing report as ‘an honest and reliable stallion….George Clooney moves with good elasticity, ease, and excellent balance.” Successful in the FEI Young Horse tests, George Clooney made his Prix St. Georges debut this spring as a 7-year old. 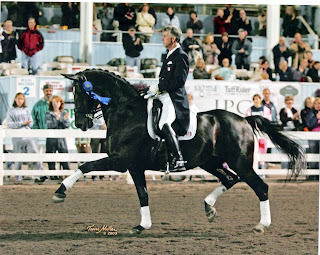 He placed 4th in the PSG and 3rd in the Freestyle at the CDI* competition during the World Breeding Championships. The potential for top sport is no surprise when evaluating George Clooney’s pedigree. 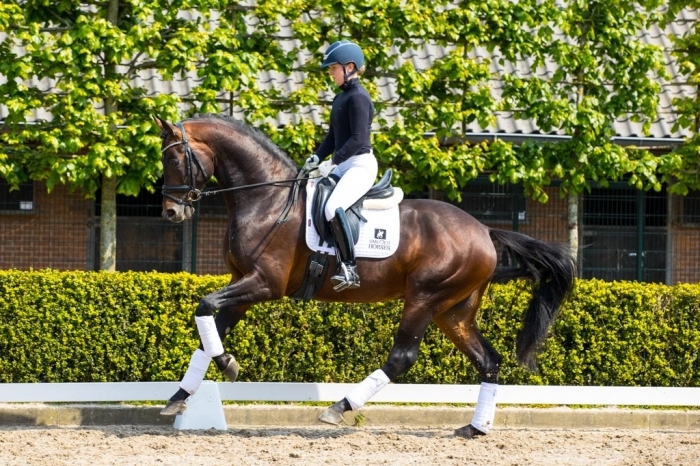 He is sired by De Niro, the charismatic Donnerhall son who has been ranked first on the World Breeding Federation for Sport Horse Sire Rankings the past two years. 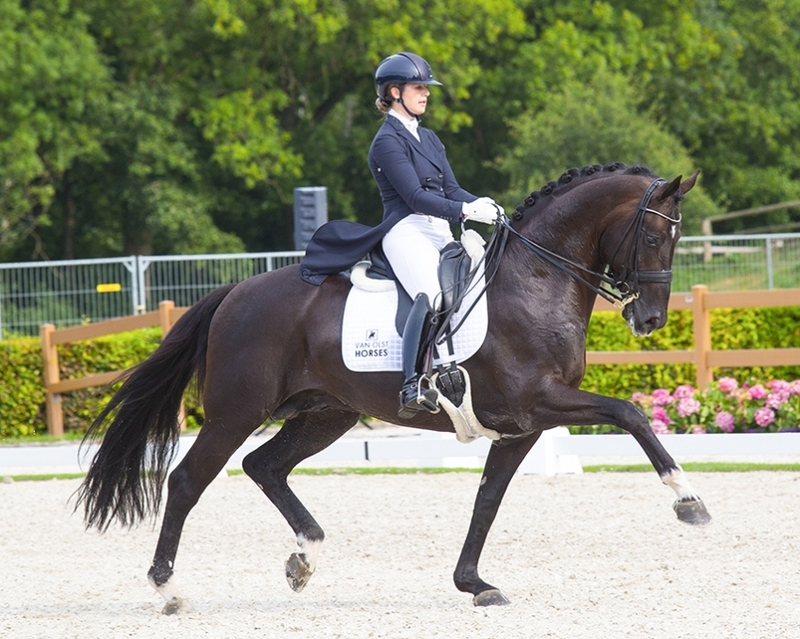 De Niro, was Reserve Champion of his performance test with a score of 141.93 and had a wonderful sport career with over 24 wins at S-Level. 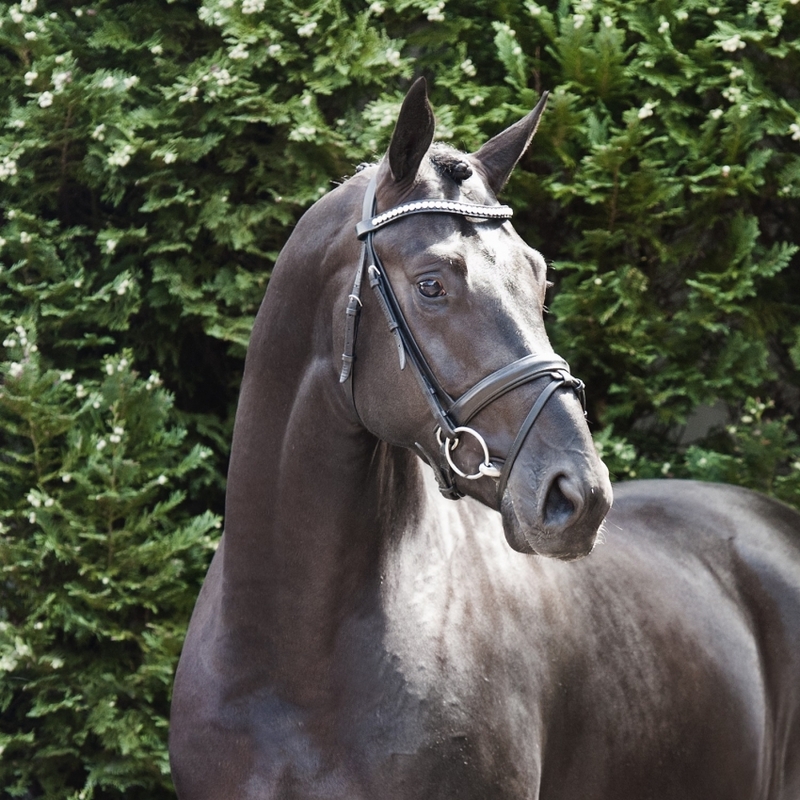 George Clooney’s dam is by Wolkentanz, who was Champion of his Licensing, Reserve Champion of his Stallion Performance Test with 140 points in dressage, and winner of the Bundeschampionat. 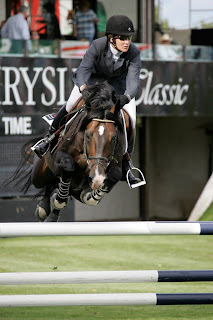 George Clooney has two full-siblings that are successful at Grand Prix and his maternal granddam is also the granddam of Isabel Werth’s Don Johnson. 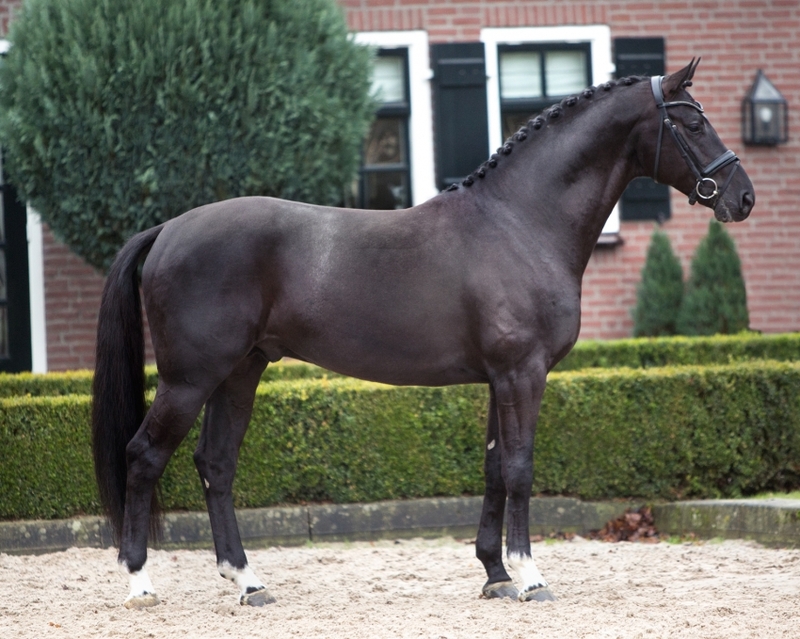 The first George Clooney foals arrived in the spring of 2015 and received positive reports from the KWPN commission. 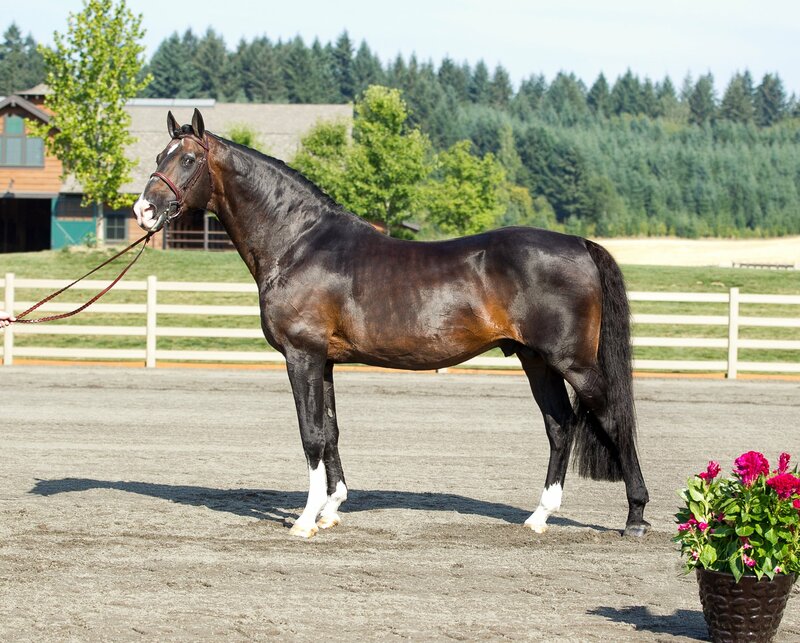 He’s shown to improve elasticity in movement and often adds some size. 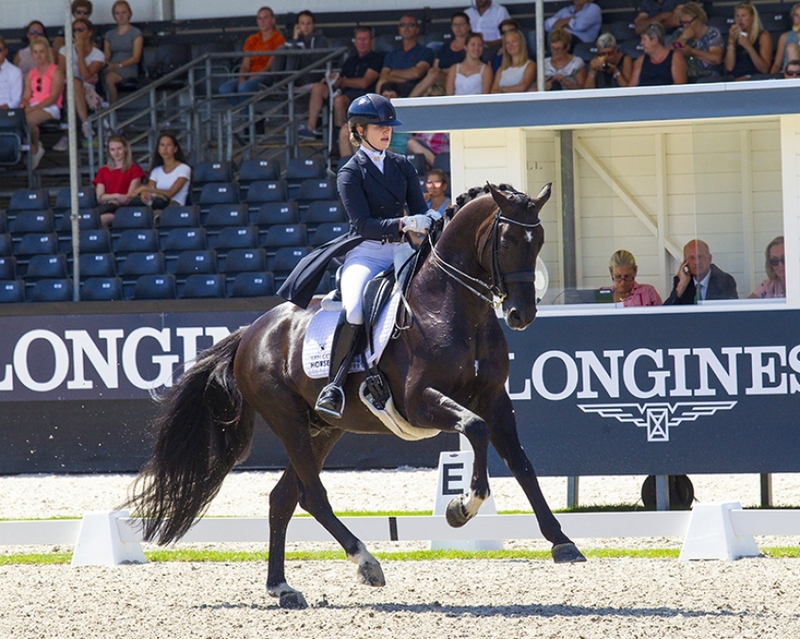 With the oldest offspring now undersaddle, we are also seeing a positive influence on rideability and temperament. I am interested in learning more about George Clooney.